BaxterFX is an online brokerage company which was established in the year 1996 and has been into internet based online trading since then. The company is based in Ireland and is regulated by Irish Financial Services Regulatory Authority. Being regulated makes the company reliable and the traders feel that their money is in safe hands. They offer various features like mobile trading, segregated accounts, Trailing stops, one click trading and browser based platform to name a few of them. With so many features the traders are provided a very conducive trading environment. They offer various payment modes like bank wire transfers, credit cards, check and electronic transfers. This helps the client in easy and hassle free deposit as well as withdrawal of money. They also allow their traders to have 7 currencies in their account which include EUR, USD, AUD, JPY, GBP, CHF and CAD. They offer 70 currency pairs to their clients to trade in which includes all the major pairs and also some of the exotic pairs. They do not provide any demo account for their clients. The broker is an independent broker and is an ECN/STP broker. They offer ECN, STP and standard accounts to their clients. The minimum deposit required opening an ECN or Standard account is staggering $50,000. The execution of the trade is very fast and instantaneous. They offer a large number of trading platform and the traders are at large to choose the one which suits their trading needs the best. All the trading platforms offered by BaxterFX to their clients is touted to be one of the best in the market and also that they have a user friendly interface. They allow their customer to scalp and hedge which helps them get more profit. The customer support service is also very good. The latest trend to know about a company and the type of service that it provides to their customer is studying their reviews online. 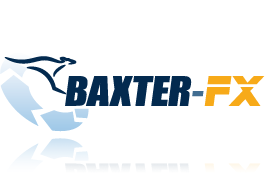 The reviews posted online for BaxterFX looks good and most of them are positive. Many of them have written about their excellent trading platform which helps them in trading smoothly and successfully. Most of them like that they provide 70 currency pairs to trade and includes the entire major and even some exotic pairs. The company is well regulated by IFRSA and is also liked by many traders. The customer support service is also mentioned to be excellent and very supportive tough it is available only in English. A few cons mentioned in the reviews is that they do not have any demo account which prevent them from knowing the trading platform better before starting real trading. They offer a lot of trading instruments and is liked by many. Also the minimum amount required to open an account with them is very high that is $50,000 and is a concern for many. Many reviews have requested them to open a micro account. The average rating given to the company by its users is 3.3 out of 5.